I added some pretty little yellow paper butterflies in the shop. A few weeks ago I used some green ones I had in my shop at the time to make specimen art. I used some of the yellow ones to make a mini banner on our little easel chalkboard. They are mounted on scallops punched from lined note cards and strung up with bakers twine. 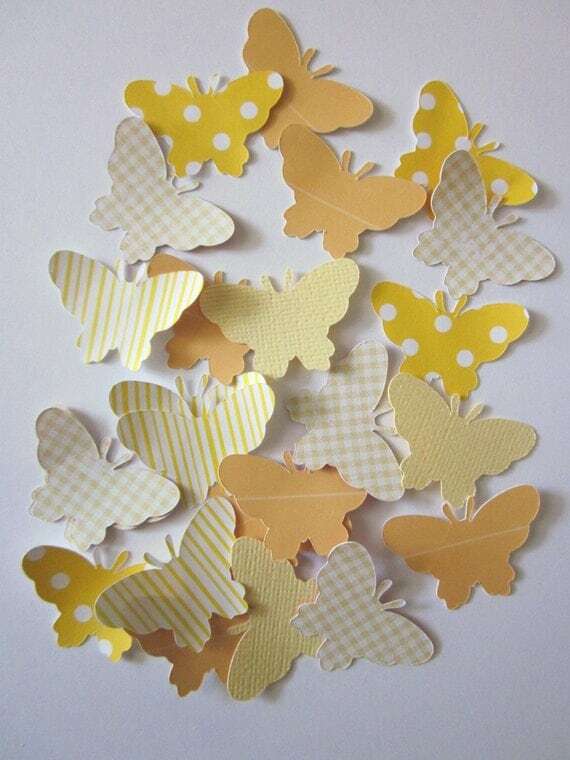 What would you craft with little paper butterflies?